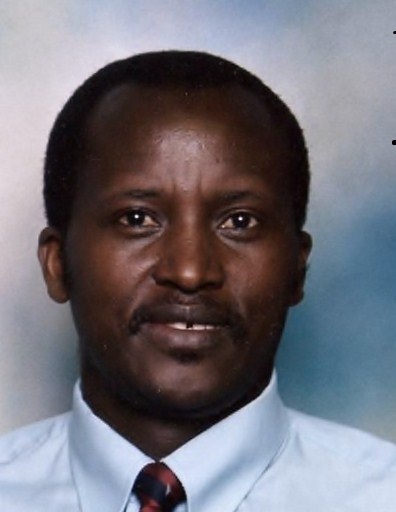 Mr. Samuel Njenga Njuguna passed away suddenly in North Carolina on Tuesday July 20th after a long illness. He is survived by his wife Esther, his children Diana, Ann-Brenda, and Brian. Samuel was diagnosed with metastatic lung cancer in August of 2009. He received treatments from Regional Cancer center, with multiple hospitalizations between Durham regional and Duke Hospitals in the past year. He has borne the diagnosis with great endurance and his faith in God as well as tremendous support from his Durham Dayspring fellowship church and the Kenyan community. On July 20th, he went to meet his maker and was healed of all of the earthly suffering and pain. He was brother to Joseph Gitu, Priscilla Njeri, Geoffrey Waihenya, Margaret Wanjiru Wakaba, Beth Wairimu, Paul Kamau, Ibrahim Macharia, and Jane Njoki all in Kenya. He has many aunties, uncles, cousins, nephews and nieces and grand-children in Kenya and other countries. He was born in Nyanduma location in Kiambu district to the late Paul Njuguna Gitu and Late Hannah Nyambura Njuguna. He was educated and brought up by his uncle and aunt Mr. and Mrs. Stephen Githu Waihenya. He attended Nyeri high school and Kenyatta University. He has worked as a teacher at Gathaithi secondary, Kinale high school, and Githiga high school at different capacities. He relocated to the US in 2003 where he has lived and worked until his passing. Family and friends are meeting in Durham NC in preparation for funeral arrangements. Donations towards this may be sent to Acc# given below. Burial will take place in Durham NC on July 30th starting at noon to 4pm. He will be greatly missed by his family and all who came into contact with him. Sam loved to make jokes and help others. He was easily liked by those who interacted with him. He is also credited for being a hard worker and committed to the welfare of his immediate and extended family and community. Again for this, he will be greatly missed. God gives and God takes away. MAY HIS NAME BE PRAISED. Saturday February 20, 2010 @ 9:00 a.m.